A lot of people wonder how Hamilton named their watch models. Initially the watches were named after the shape of the watch... Cushion, Oval, Square, etc. When a model was revised, Hamilton often just added a "-B" to then end... Square B, Barrel B. Next, Hamilton named models after resort areas and places... Meadowbrook, Coronado. They named them after famous explorers... Byrd, Stanley. Eventually they named them after people associated with Hamilton (employees, friends, etc.). 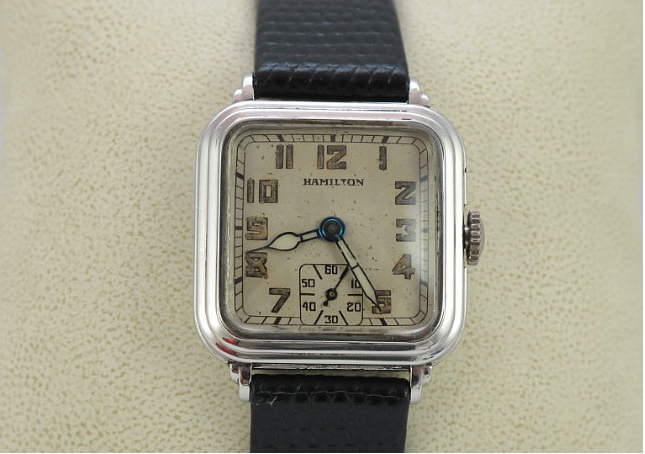 In 1931, Hamilton had a mixture of names going on and a lot of new models were introduced. One was the Greenwich. The Greenwich was produced through 1934. The Greenwich came in yellow or white gold filled cases with several choices for dials. You will find AGN dials like in the catalog image, as well as enamel dials and luminous dials too. 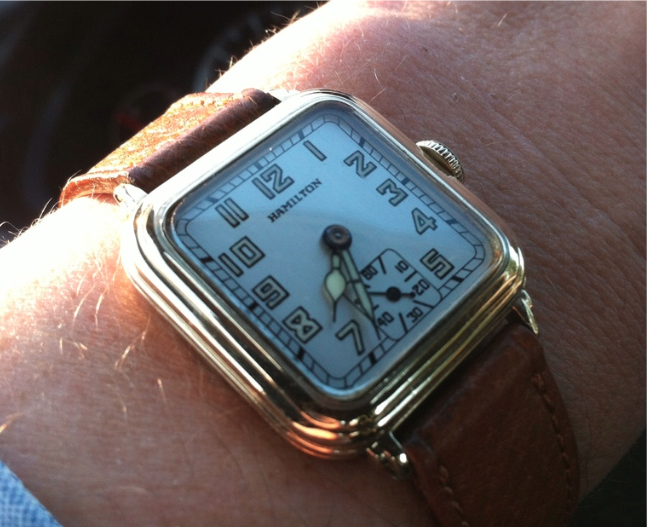 The case is very typical for the 1930s with stepped levels on the bezel that carry through to the center section of the three-piece case. The Greenwich will most likely have a 17 jewel, 6/0 sized 987F under the hood, although it's possible a later model might have gotten a 987E. 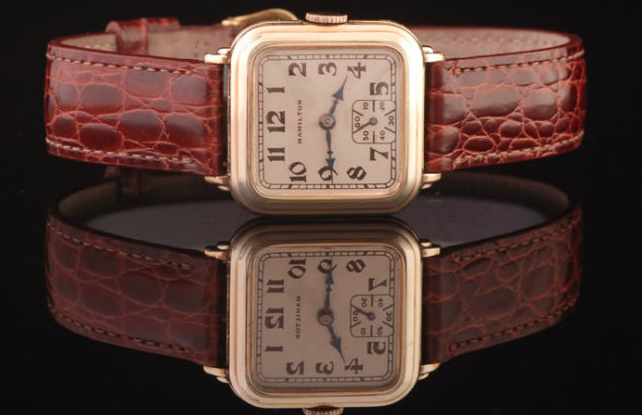 It's a sharp looking watch and popular with collectors since it's not overly rare but is still a classic art deco design. Trying to get good examples with all dial types would be a fun collecting challenge. Here's wrist shot of a yellow gold filled Greenwich with a refinished luminous dial and hands. Here's a great enamel-dialed example in a yellow case courtesy of Tom Diss.